2 Beds 2 Baths 1,170 Sq. ft. 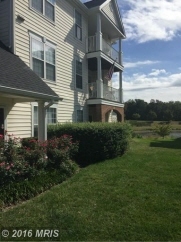 Description: Tranquility awaits you off your private balcony overlooking lakeside at south riding. Convenient to shopping, commuting, dining & entertainment! This charming 2br/2ba unit has been remodeled with granite counters, some newer appliances, freshly painted and plumbing and electric fixtures.